We had such a great week with so many exciting activities! From finalizing and showcasing the Explorer Coasters to having our last Chorus rehearsal in preparation for next week's concert, there has been a lot of energy at Glengary Elementary! 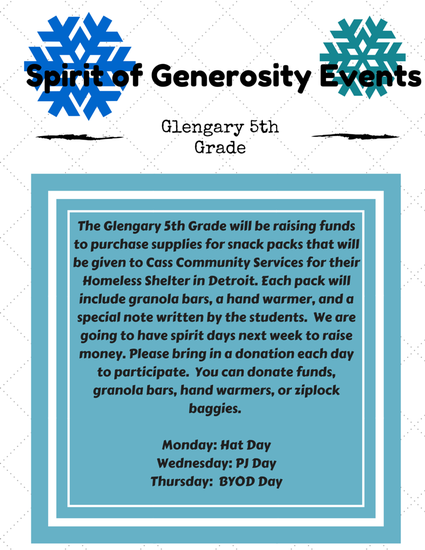 Next week we will have our Spirit of Generosity Week which will be a fundraiser for an outreach project we are doing for Cass Community Services! Monday is hat day! We look forward to seeing the fun hats kids choose to wear. Wednesday is PJ Day. Please make sure your child wears appropriate PJ's. They are welcome to bring in slippers, but they must wear regular shoes outside. Thursday will be BYOD Day, which stands for Bring Your Own Device. We will incorporate technology into our daily routines. If your child does not have a device to bring in, we have our Chromebooks. Thank-You So Much For Your Coaster Support! I would like to thank all of the parents who donated supplies for the coaster project. It really was one of the best projects I have done in my career, and I feel so blessed that I had so much support from the 5th grade parents! If your child has a completed coaster, you are welcome to come to Glengary and pick it up. Below are the reflections from each class, as they were able to gain so much more than Early Explorer knowledge. Please watch these videos when you have time to hear how powerful this project was! Math: Math- We continue to work in Unit 3. We are reviewing what we already know about fractions, and learning to compare them in new ways and explain our thinking. As of right now, the Unit 3 test is scheduled for Friday, December 18th and Monday December 21st. Social Studies: We worked on our reflections for the coaster project. We published our reflections digitally using Google Docs, Google Slides, or a newer site called Canva. Next week we will begin learning about Colonial America. The unit will begin with a study of the Jamestown and Plymouth colonies. *Reading – We are continuing to work on comprehension skills and strategies in our guided reading groups. The students are having great conversations in book clubs. Keep in mind, each child needs to read 600 pages for his/her home reading. Your child is responsible for filling out Book Snapshots or Book Reports for each book completed. *Writing: The entire 5th grade is participating in the Holiday Card Exchange, which is a project that connects classrooms from all around North America. Students designed cards with a snow theme, wrote messages, and learned the correct way to address an envelope! So, if you need extra help this holiday season...your child should be able to assist! We have already started receiving some of the cards from other schools. The cards will be on display on the bulletin board near our hallway. *Words Their Way – The test for Sort 24 will be next Friday. 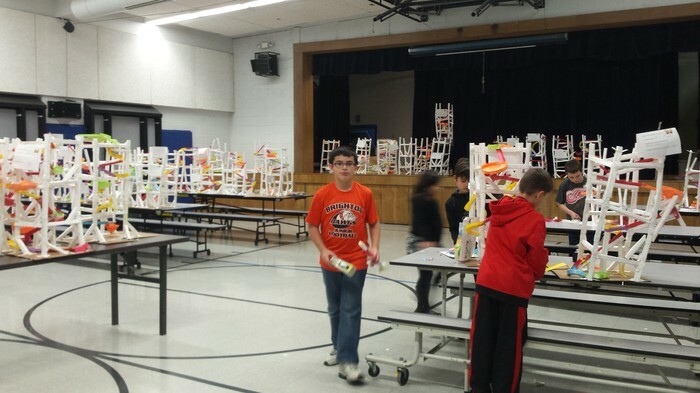 All word lists can be found on the 5th Grade web page, which is in the For Parents section on Glengary's webpage. Yearbook Cover Design Entries Due Dec. 15! Hour of Code Next Week! !